Took my middle guy for an appointment and then dropped him off at school before heading to work this morning. I found myself quite giddy at work all day. I hope I am not going to jinx myself but I see a faint light at the end of the tunnel at work. It's been well over a year of non-stop craziness. I can certainly handle it, but a week or two breather every now and again would be welcome for sure. My husband had off today so took the kids to visit my grandmother for a bit. I emailed him tonight's pinterest dinner to make since he was home. Tonight's recipe is all over pinterest labeled as "the best" and "amazing"; in other words "overrated". The quick version - too much rosemary. The kids need their chicken legs "dusted off". Might be worth trying again with an easier hand on the herbs. Place chicken in a rimmed 13-in. x 9-in. baking dish. Place parts skin side up and spread them out evenly in the pan. Pour olive oil mixture all over chicken, turning pieces to coat all sides. (If you marinated the chicken in this mixture, still add it all in). 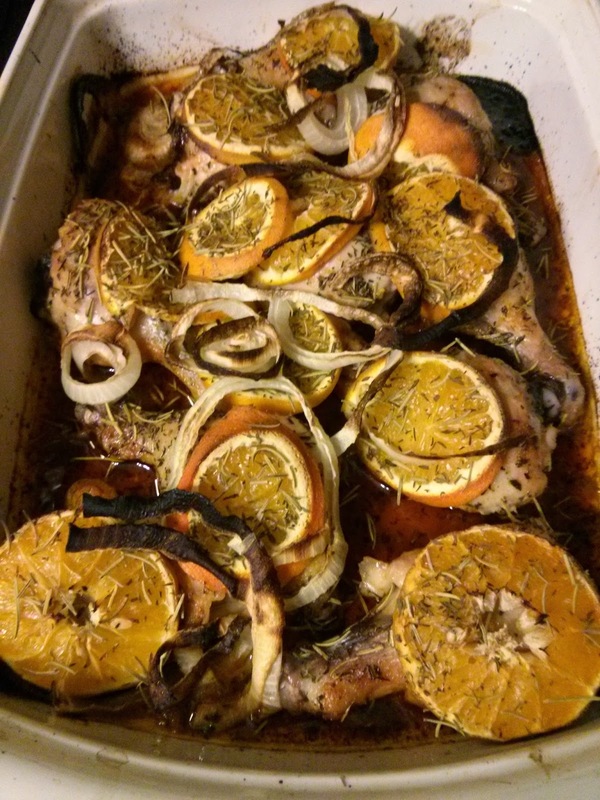 Arrange slices of lemon, orange and onion around and under the chicken. Sprinkle all over generously with thyme, rosemary, salt and pepper. As I type this 3 of the men are asleep. Me and the 6-year old are listening to the Billy Joel station on Pandora and rocking out. I am enjoying a cup of tea as I type this and he is drawing pictures of Willy Wonka and jabbering about who he wants to invite to his birthday which is in April (clearly the apple doesn't fall far with the planning). We had plans shift this weekend so we are now having an impromptu dinner with friends tomorrow. I found a recipe on the train yesterday for a cranberry pork roast (I coincidentally have a pork roast and tons of cranberries in my freezer), decided to invite the friends, they accepted. Love it when a plan comes together. I try very hard to keep us to one activity a weekend during the school year. 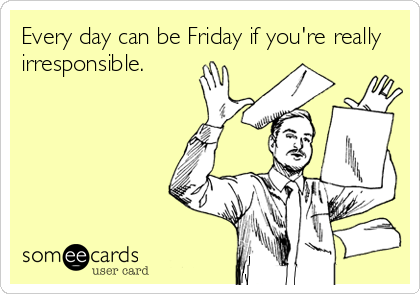 I usually like to keep Friday and Sunday open to relax (minus 1/2 hour piano lesson or sporting activity) and Saturday is the day we usually do something with the kids - play date dinner, trip out of the house whether for an activity or even just shopping, etc. I find that when we are over scheduled it throws everything off and causes stress the entire week. The kids are tired from running around. I don't have the opportunity to organize the house for the week and no one gets a break. Some people can do it, but it ain't for me!